Water Saving Week is run by Water Wise, the leading authority on water efficiency. Saving water saves money. Installing simple devices such as water-efficient taps and showers will save both water and energy by minimising the use of heated water. An efficient shower head could reduce household bills by up to £120 per year. Such large financial savings can be particularly vital for households facing water and/or energy poverty. Our use of water and energy are closely linked. Operational emissions from the water industry account for nearly 1% of the UK’s total. A major source of emissions is from using hot water within homes. Reducing the time you shower or the amount of hot water you use for cleaning dishes therefore has a significant impact on your personal carbon footprint. Half of England’s rivers are over-abstracted. This puts aquatic ecosystems and wildlife at threat. Using water efficiently means that we can minimise the amount of additional water resources being taking out of our rivers and aquifers, especially as demands are rising. As water resources become scarcer, building new infrastructure for augmenting supply becomes increasingly expensive. If we save water that is otherwise wasted, we can offset the need for new infrastructures and reduce pressure on existing ones. Additionally, efficient water use makes our supply more resilient against impacts from climate change, such as droughts. 1.Check if you've got a leaky loo. A toilet leaking clean water from the cistern to the pan can waste up to 400 litres of water a day (that’s five full bath tubs) and add around £300 a year to your water bill​ if left unfixed. 2.Keep your shower short and sweet! A four minute shower is plenty long enough, and cutting time down means you save energy as well as water. Click here for more shower tips, and to find out what kind of water user you are. 3.Fill your washing machine to the brim. Clothes washing now accounts for 15% of water we use in our homes, so put a few extra shirts in to make the most of your load. 4.Use your dual flush properly! The smaller button gives a little flush, suitable for pee. Only use the bigger flush when you need to. 5.Fridge it! Putting a large bottle of tap water in the fridge will ensure you can have chilled water all the time. Waiting for the tap to run cold can waste more than 10L of tap water a day. This year WaterSafe, the nationally branded plumbing assurance scheme which promotes compliance with Water Fittings Regulations and Scottish Water Bylaws, will be advising on the best ways to deal with leaks in the home, in particular leaky loos. Visit watersafe.org.uk for water-saving challenges, tips and further information. You can also follow them on social media for updates on #watersavingweek via Twitter: @WatersafeUK and Facebook: facebook.com/Watersaferegister. APHC operate an approved contractors’ scheme for WaterSafe and provided that they meet the criteria, APHC members can join WaterSafe for free. Content sourced from the Water Saving Week Website. As we enter autumn and start to switch on our central heating systems, we at the Association of Plumbing & Heating Contractors (APHC) are calling for everyone to celebrate the important role that plumbing and heating engineers play in keeping people healthy and safe. Quality Plumber Week 2017, which runs between 2-8 October, aims to stress the importance of using properly qualified, trained and accredited plumbers in a bid to reduce the numbers of rogue traders operating in the industry. We're encouraging homeowners to always check that their plumber or heating engineer has the relevant professional qualifications and accreditations for the work being carried out. To help avoid being a victim of sub-standard work, we advise any person planning on having any form of plumbing and heating work done, whether a boiler service, bathroom installation or smaller plumbing and heating work, to following some simple steps. 1. Seek advice from a member of a professional membership organisation; 2. To obtain at least three written quotes for the work; 3. Speak to previous customers about their experience; 4. Agree all costs before starting, preferably with a works contract in place; and 4. Never pay for the entire job upfront. John Thompson, our CEO has gone on record saying: "Quality Plumber Week aims to unite the plumbing and heating industry in order to showcase the important work that we do in keeping society healthy, warm and safe. The week also aims to raise awareness to homeowners that there are many highly qualified professionals out there who are proud of their trade and the work they do each day. A welcome change from the negative press that the industry quite often receives when we hear about another plumbing horror story. "I hope that everyone will come together to celebrate our industry and help raise the awareness amongst consumers of the many highly qualified and proficient professionals that we have in our industry." For more information on Quality Plumber Week and to learn how you can get involved visit www.aphc.co.uk/quality-plumber-week. You can also join the conversation and thank your plumber on social media at #QPW17. To find a local quality plumber visit www.findaqualityplumber.co.uk. Are you aware of the dangers of Carbon Monoxide? Our own commissioned research into the levels of awareness in the dangers of Carbon Monoxide has revealed what could be described as alarming. This is why each year we pledge our support to Gas Safety Week. Gas safety is important all year round, but it is not always a household’s top priority. 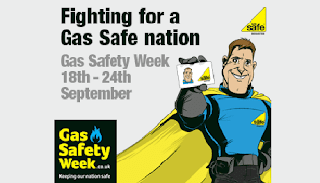 Gas Safety Week, which is coordinated by Gas Safe Register, provides a platform for the gas industry, consumer organisations and individuals to focus on gas safety over a one week period in order to raise awareness with the public. The seventh annual Gas Safety Week is taking place between 18th and 24th September and aims to raise awareness of the dangers of poorly maintained gas appliances, which can cause gas leaks, fires, explosions and carbon monoxide poisoning. As the plumbing and heating industry’s largest employer’s trade association we actively promote gas safety and we believe it is important that we support Gas Safety Week. When I last checked, APHC is just one of around 7,000 companies and organisations who have pledged their support. Whilst it is great to see this level of support and we hope this year’s campaign makes a positive contribution in protecting the safety of the public, I know from our own research there is still more work to do. Our research found that 39 per cent of households don’t have a carbon monoxide alarm fitted in their homes with another 34 per cent having rooms that contain either a gas, oil or solid fuel burning appliance that doesn’t also have a carbon monoxide alarm fitted. Our research also found that 37 per cent of householders didn't know that it is advisable, and in some cases that it is a legal requirement, for a carbon monoxide alarm to be fitted in each room where there is a gas, oil or solid fuel burning appliance. We have been vocal in wanting to improve gas safety and just recently APHC’s president called for greater enforcement action in penalising those responsible for dangerous gas work and further legislation banning these individuals from re-registering on the Gas Safe Register. You can find out more about Gas Safety Week 2017 at www.gassaferegister.co.uk/gassafetyweek. Quality Plumber Week is organised by the Association of Plumbing & Heating Contractors and aims to promote the industry's very best plumbing and heating contractors and warn against rogue traders. This year, QPW17 also aims to promote the importance of continuous skills development to the industry and remind the public about the importance of choosing an appropriately qualified plumbing and heating engineer. Additionally, it aims to provide consumers with advice for sourcing a quality plumber whilst reminding to always check credentials. This is an important message because research by the Association of Plumbing & Heating Contractors has found that 79% of people choose a plumber based on their accreditations. Yet 43% do not check that their plumber or heating engineer is qualified and 29% do not verify their membership with the relevant organisation. Don’t risk your personal safety and security, always check the credentials of the plumber you instruct. Remember, membership of a trade association ensures qualifications and standards are verified but always check membership is current. If you need a plumber, we vet our members’ accreditations so you can be confident of appointing a qualified and proficient plumber. APHC is currently looking for support from consumers, plumbers and industry manufacturers and suppliers. For more information about how to get involved visit www.aphc.co.uk/quality-plumber-week.asp where there is also a range of promotional resources available to use. More information about Quality Plumber Week will follow later in the year. Did you know that 87% of consumers would instruct an APHC member over a plumbing and heating contractor who wasn’t a member? You can find a local qualified plumbing and heating company who are members of the Association of Plumbing & Heating Contractors at www.FindAQualityPlumber.co.uk. According to BISHTA, the trade association that represents the British and Irish Hot Tub and Swim Spa Industry, the estimated number of hot tubs in the UK is around 100,000 with 6,000 being sold annually. Given the sales of hot tubs and the recent news of a hot tub warehouse being fined £1 million after it was found to be responsible for a Legionnaires’ disease outbreak which killed two men; we thought it would be timely to blog about the importance of correctly maintaining a hot tub. Legionnaires’ disease is a type of pneumonia caused by the legionella bacterium. This disease can be serious if not treated immediately, but you can easily guard against the disease by monitoring the water in your hot tub and by making sure that your hot tub is kept clean. Hot tubs pose a ‘reasonably foreseeable’ risk of Legionnaires’ disease because the water is kept at a temperature of between 30 and 35 degrees, close to body temperature, which is the ideal environment for legionella bacteria to grow. The bubbling and frothing of the aerosols in a hot tub can then throw the bacteria into the air for several metres around the tub, which if inhaled can make their way into the lungs potentially infecting them with Legionnaires’ disease. Although Legionnaires’ disease can be fatal it is also treatable. However, Legionnaires’ disease is preventable with appropriate maintenance of your hot tub. Firstly and most importantly, always follow the manufacturer’s recommendations for appropriate management and maintenance of a hot tub, because cleaning and maintaining the hot tub regularly is the only way to ensure that bacteria do not concentrate in the water and the spray. In terms of what maintenance is required, BISHTA recommends the following steps. APHC administers a Legionella Risk Assessment and Disinfection Scheme where members are qualified to undertake legionella risk assessment and remedial work. You can source an APHC member at www.FindAQualityPlumber.co.uk. We have recently conducted a research project which found that 16.5% of people are unhappy at work due to the condition of their employer’s toilets. Whilst on the surface this may seem like a trivial matter, employers have a legal requirement to adhere to. The research has revealed alarming insights into the negative impact that the state of workplace toilets are having on workers. We distributed a press release to the national media detailing our findings and recommending for employers to use an APHC member via www.FindAQualityPlumber.co.uk to source a qualified plumber. We surveyed over 1,000 workers in England and Wales asking about the condition of the toilets at their place of work. Our research found 43.8% of the people surveyed felt their workplace toilets needed to be better maintained. And when asked if their workplace toilets require updating or refurbishing, 44.4% said they did. London seemingly has the worst workplace toilets with 50.9% of workers surveyed believing they need to be better maintained and require refurbishing. Most alarmingly, 16.5% of workers stated that the current condition of their workplace toilets negatively impacts their happiness at work. This figure rises to 20% in Wales and to 20.9% in the South-East of England. 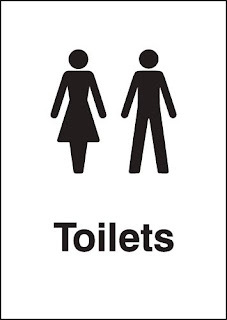 John Thompson, Chief Executive of APHC, commented: “There are too many employers who are seemingly neglecting the up-keep and maintenance of their toilet facilities. Employers have a legal requirement to adhere to. The Health & Safety Executive state that where it is reasonably practicable, employers have to provide adequate toilet and washing facilities for employees. 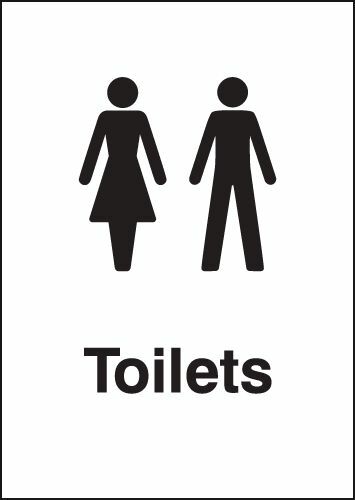 In 2010, a businessman was fined £30,000 because he failed to ensure that his premises were equipped with clean and functioning toilet and welfare facilities. “However, over and above all legal requirements, employers have a moral duty to provide clean, safe and well maintained toilet facilities. Specific responses from the survey about the poor state of workplace toilets included there being bad smells, cracked tiles, broken toilet seats, toilet bowls, sinks and taps, poorly flushing toilets and tired and dirty decor.